The Dolltowners come here regularly so we thought it was time to have another event here and take some photos. 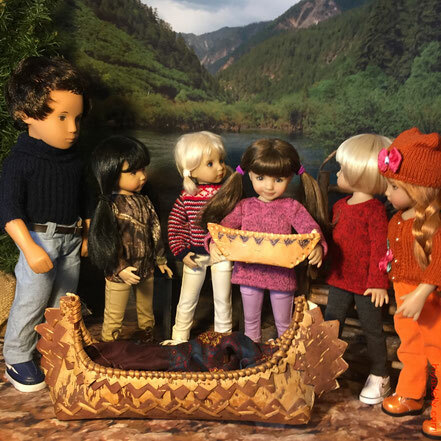 One of the special things that was also brought down from the attic was a beautiful birchbark canoe. 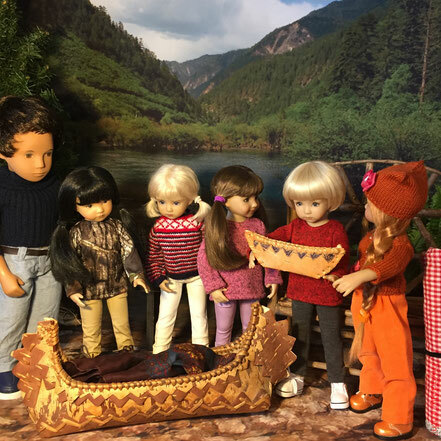 It was made in the Shuswap by the Secwepemc people. I know because it was one of the many 1st Nations crafts brought in to our book and gift shop years and years ago. 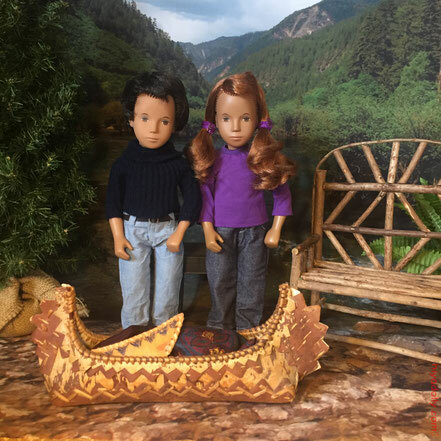 Birchbark canoes were traditionally used in the east. 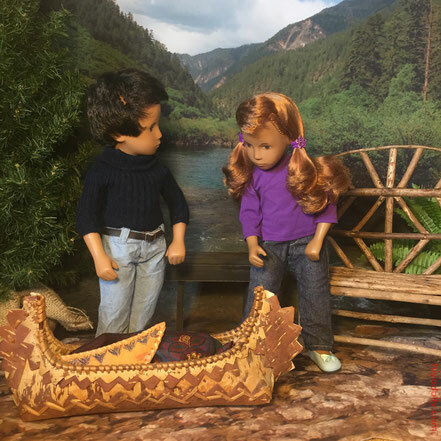 And in the west I understand it was more common for canoes to be made from spruce bark, and cedar planks on the coast. 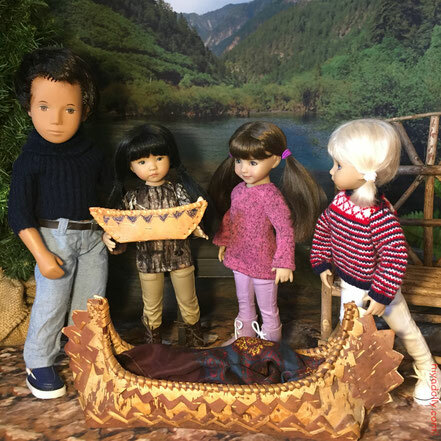 However, we know that this particular canoe was crafted from the birchbark used to make berry baskets. 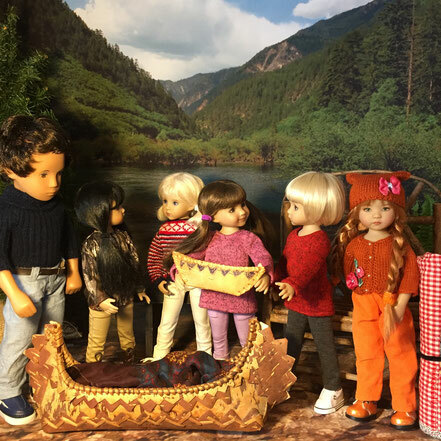 Perhaps it was made for children to play with while the grandmothers picked huckleberries for the winter. This canoe has been in our family for five decades. 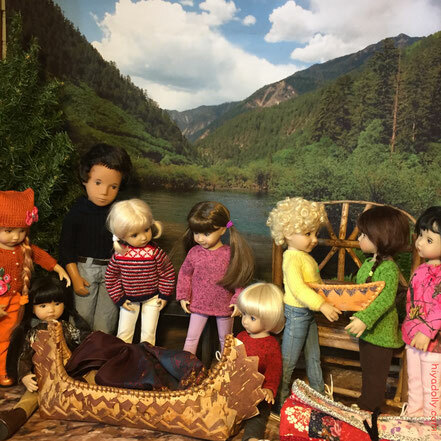 And now, the Sashas are introducing it to Dolltown. Look! 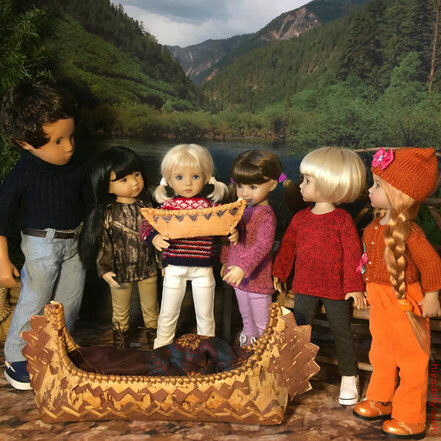 There is even a tiny canoe, like a toy for dolls! 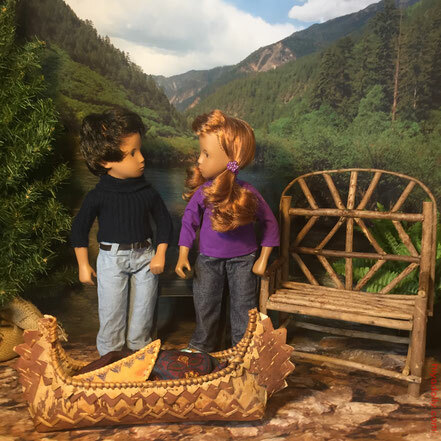 Here are two of our Sasha dolls, now Dolltowners, Archie and Channing. 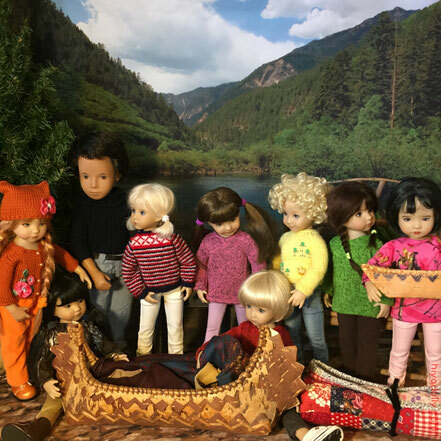 We decided that these sturdy, calm, and responsible dolls would look after all the children expected at our Dolltown spring picnic. 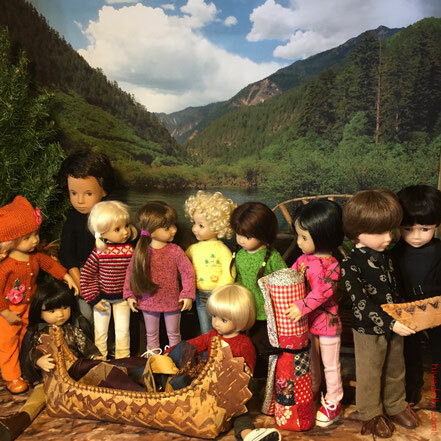 These dolls were taken on many outings and road trips in their previous lives as child-owned dolls. 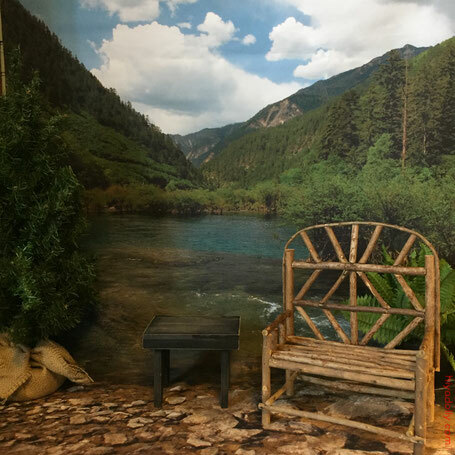 They have seen the Pacific Ocean, and big rivers, little rivers, creeks, lakes and rain puddles. And I am happy to say that they have never immersed in any body of water, not even a bathtub. 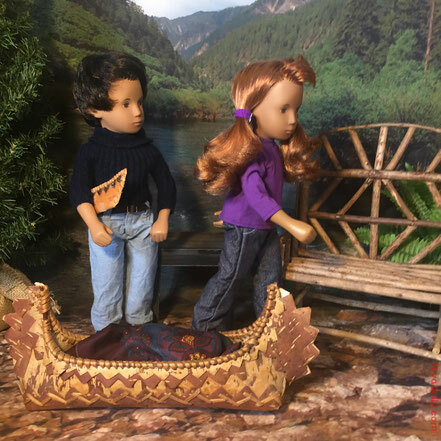 But these dolls have been on ferries, in motor boats, row boats...and canoes. 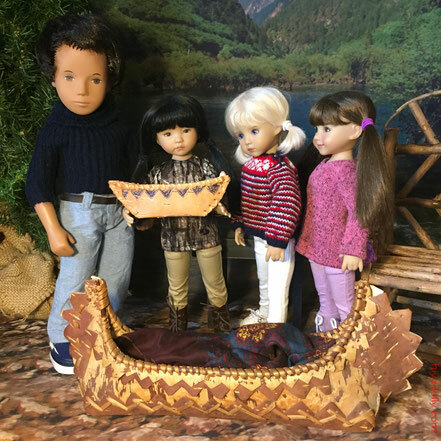 And they were probably there when we got this beauty of a canoe. Now the Sashas are excited to show it to the Little Darlings and their friends. Archie heads off to scout the surroundings for a minute. 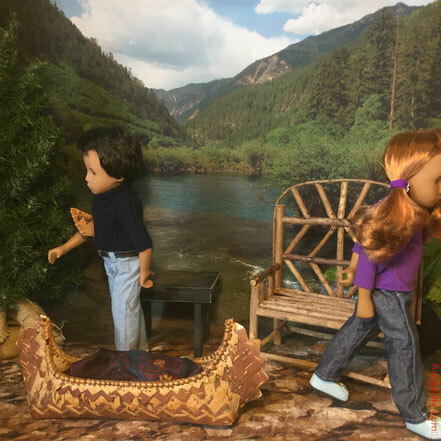 While they are gone, Zoey, Chantal and Faith arrive at the River. 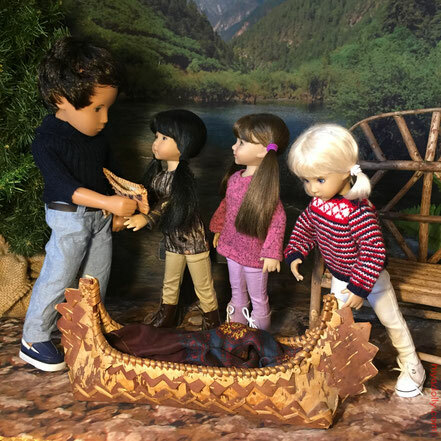 And see the canoe they have heard about! 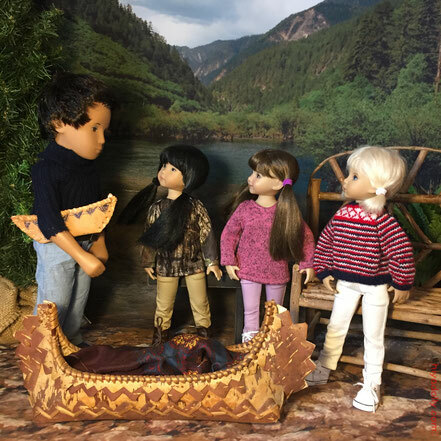 Archie returns and hands Zoey the toy birchbark canoe. Faith moves in beside Zoey, wanting to be next. Chantal is always agreeable! Archie tells them to handle it gently. 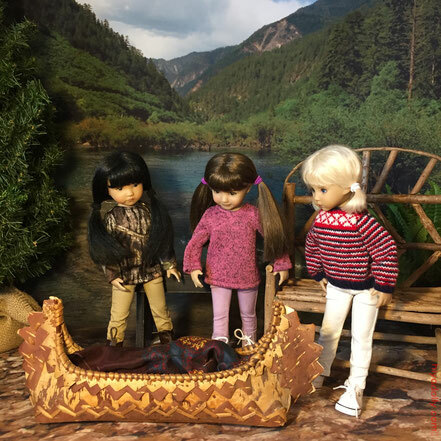 Zoey passes the little canoe to Faith, as Pearl and Scout arrive. Faith passes to Chantal. Pearl can't wait! Scout, is that the picnic quilt there beside you? Birdy, Rosa, and Jiyoon arrive. 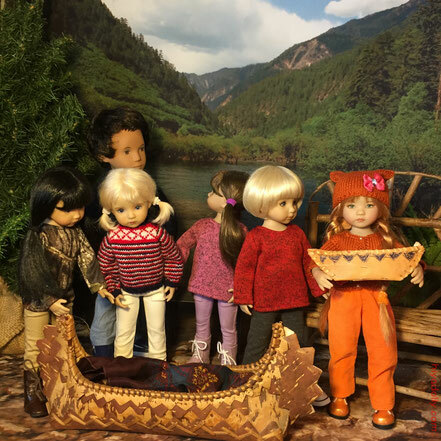 And Zoey and Pearl sit by the big canoe, ready to unwrap the cloth. What is inside? Looks like some moosehide, a stone. The girls explore and chat about what they find. 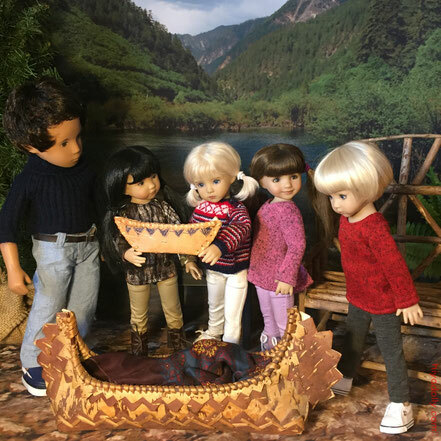 The boys, Chris and Douglas are impressed with the little canoe. Does it float? See the rolled red quilt? 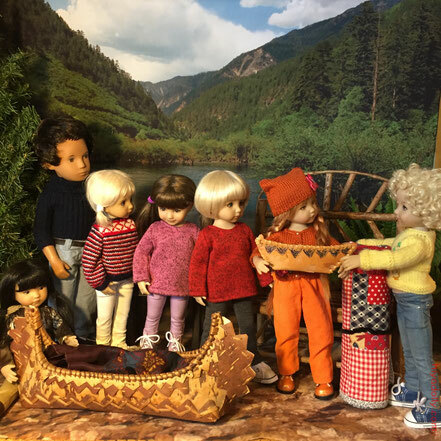 Now we can fetch the picnic basket! More kids coming! How is everyone going to fit in to this little clearing by the river?